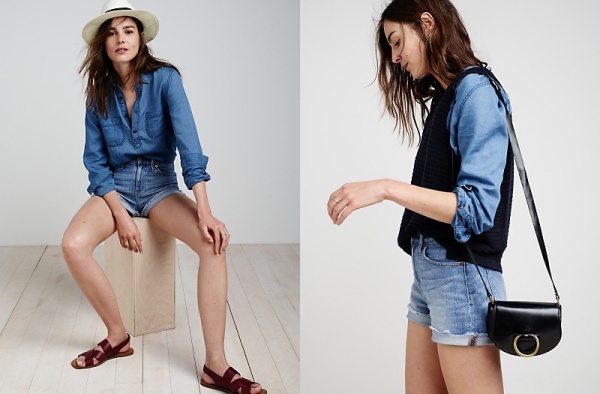 Madewell Presents Outfit Ideas for Day and Night - Qunel.com - Fashion, beauty and lifestyle. 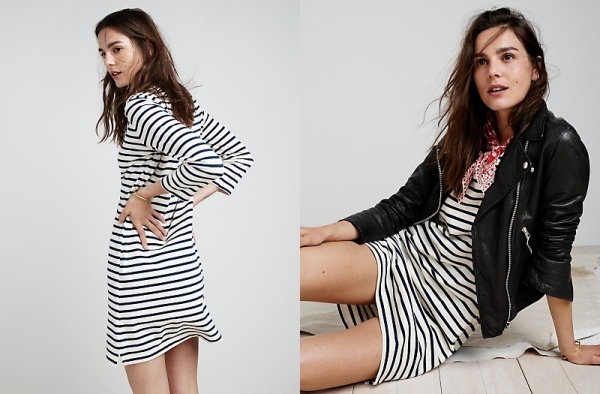 Madewell offers style inspirations for 80° days and 60° nights in its new style edit called “Wear Now, Wear Again.” It highlights essential pieces that are stylish and versatile for a no-fuss approach to dressing up from day to night. 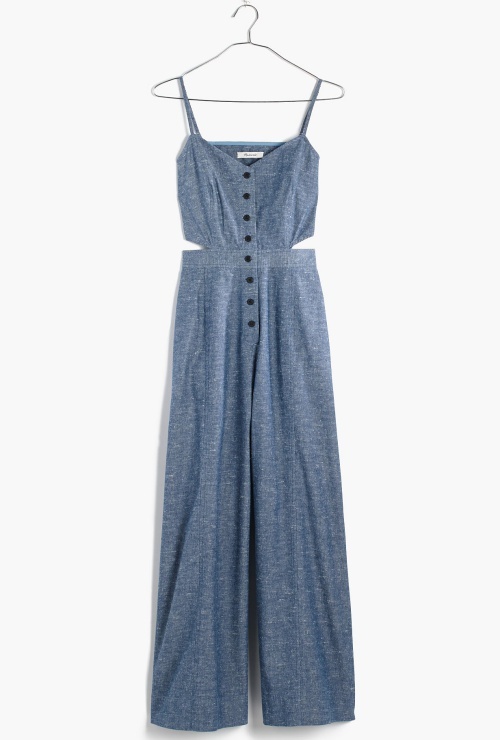 Breezy dresses and strappy flat sandals are perfect for keeping cool during warm weather. 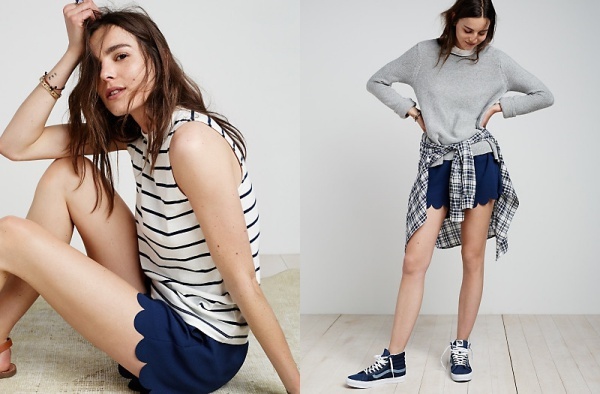 But add a jacket and swap the flats for heels, and you get a completely different look for chilly nights. 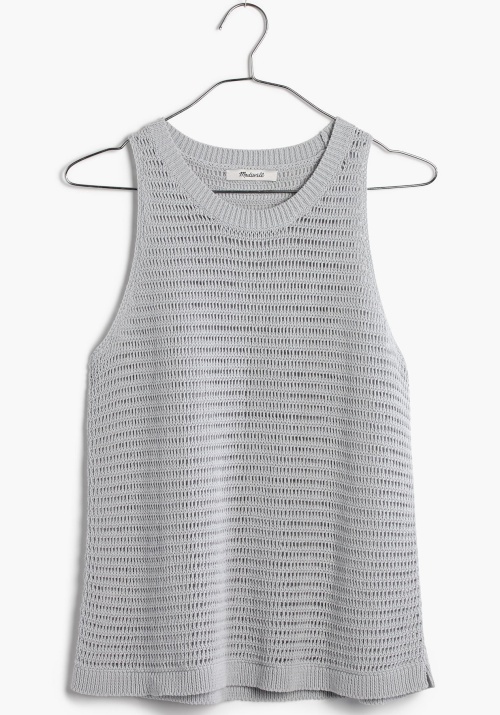 This lightweight sweater tank comes in a vapor grey designer color. It also has a crocheted design and ribbed edges. 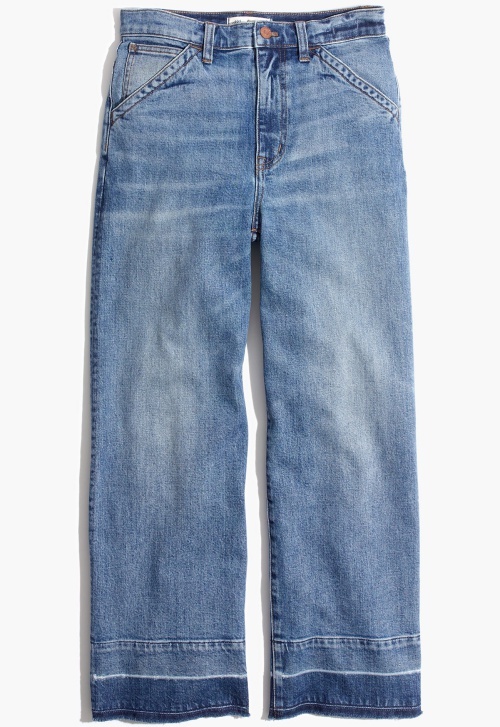 These jeans feature an extra-high 10” rise and a dark indigo wash with light fading. They also have copper hardware, contrast stitching, and a mini flare silhouette. 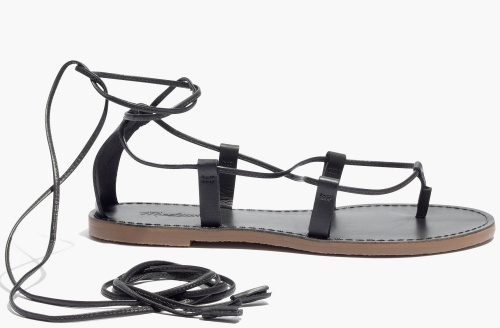 These lace-up sandals have smooth leather uppers and gladiator-style laces. They also feature faux crepe soles and a handmade tassel trim. 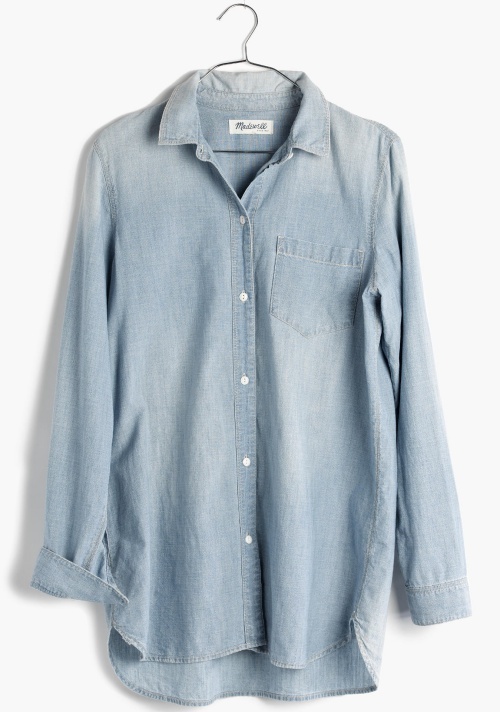 Crafted in soft chambray, this button-down shirt has a slightly oversized fit and is lightly distressed along the edges. 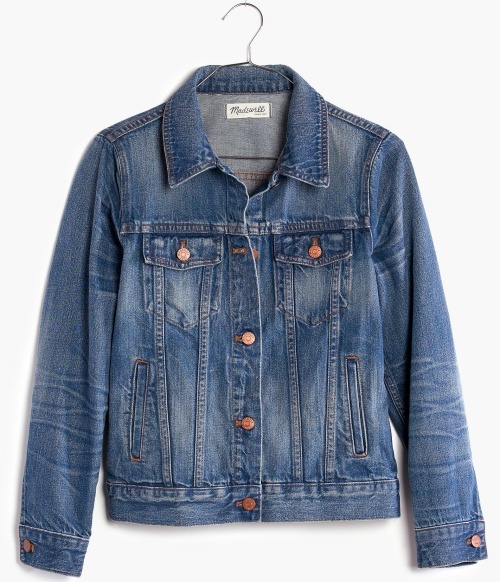 Made from premium cotton denim, this jacket has long sleeves, a front button closure, and buttoned chest pockets. 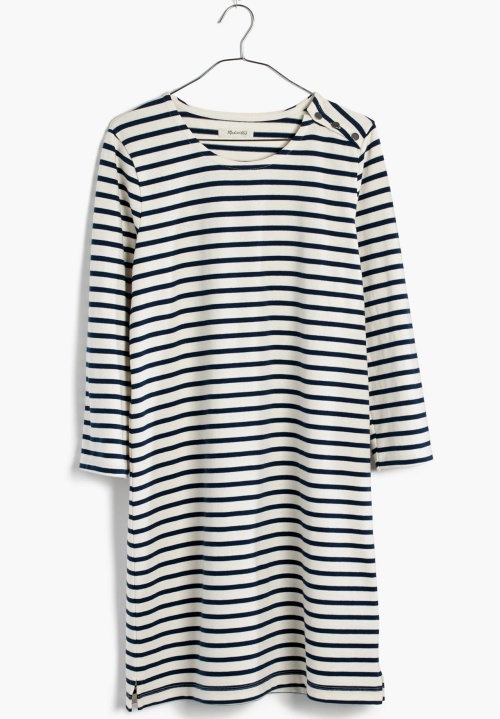 This dress features a striped design and a low-key nautical feel. 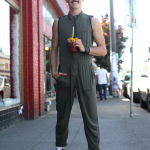 It also has three-quarter sleeves and a button detail. 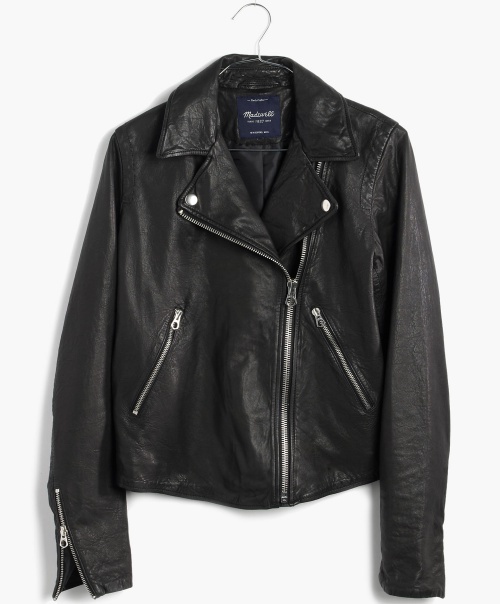 This motorcycle jacket features buttery washed leather and an authentic biker style. It also has lapel snaps, sleeve zips, and chunky silver hardware. 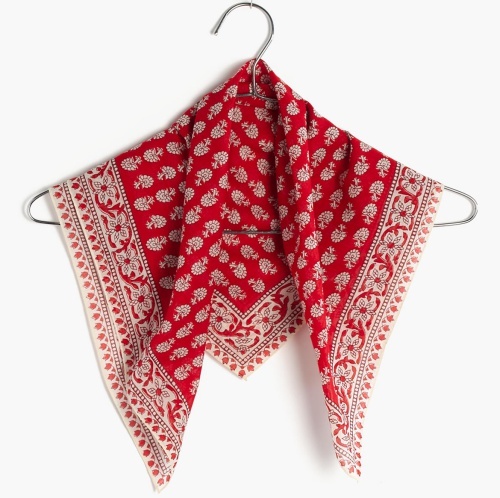 Crafted in cotton, this bandana comes in a tropical coral designer shade. 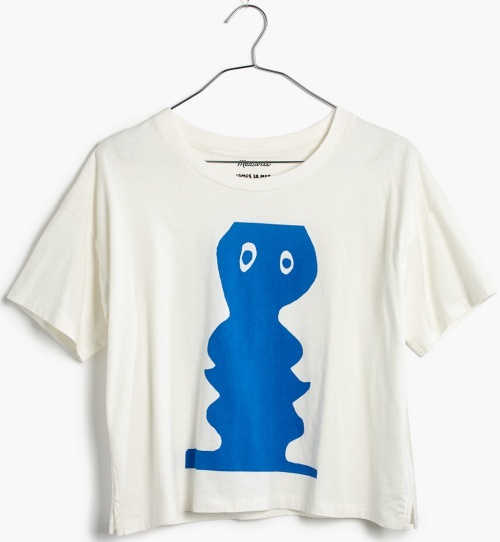 This graphic cotton tee comes from an exclusive T-shirt collaboration with artist James Ulmer. 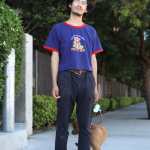 It features Ulmer’s “Two Eyes, Two Faces” painting, and it also has short sleeves and a cropped fit. 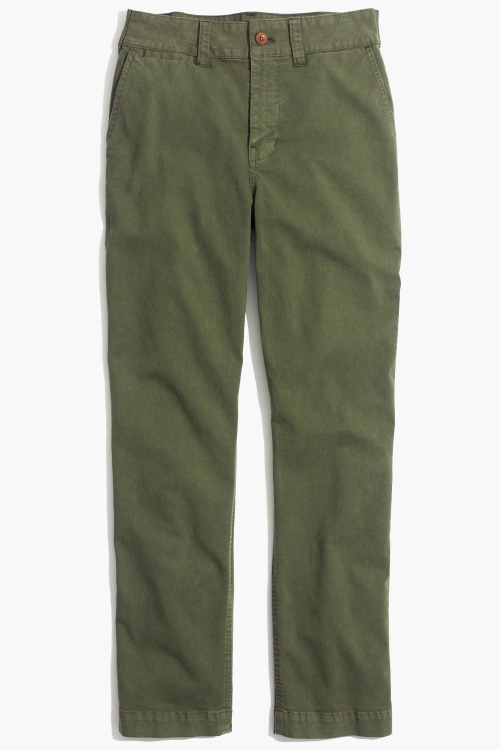 These chinos come in a camouflage green color, and they feature a straight-leg silhouette. 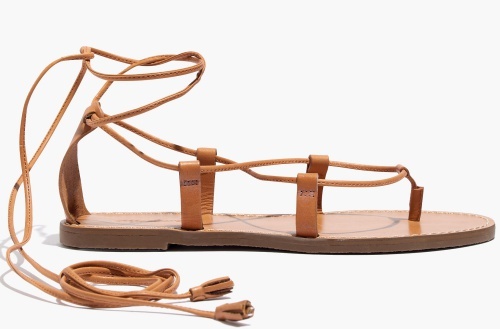 These lace-up sandals feature smooth leather uppers, gladiator-style laces, and a desert camel designer color. They also have handmade tassel trims and faux crepe soles. 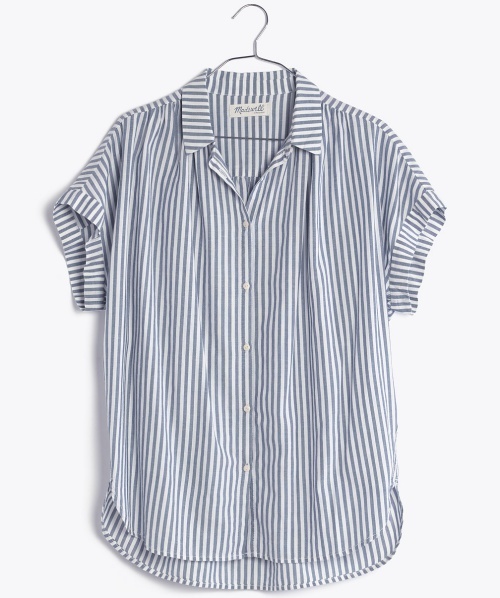 This shirt has drapey sleeves, a striped design, and a slightly oversized fit. 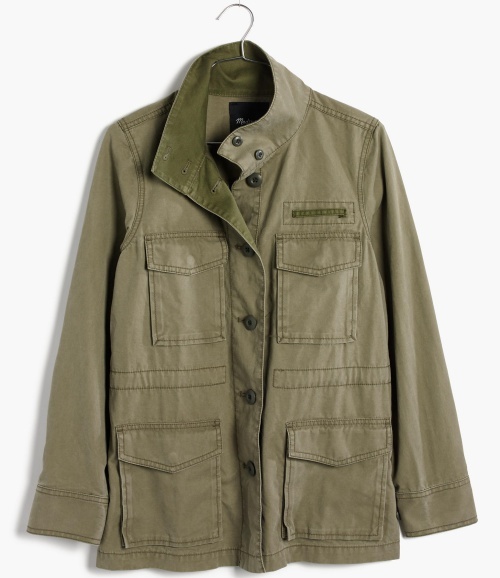 This military jacket features a worn-in vintage look and a military surplus designer color. 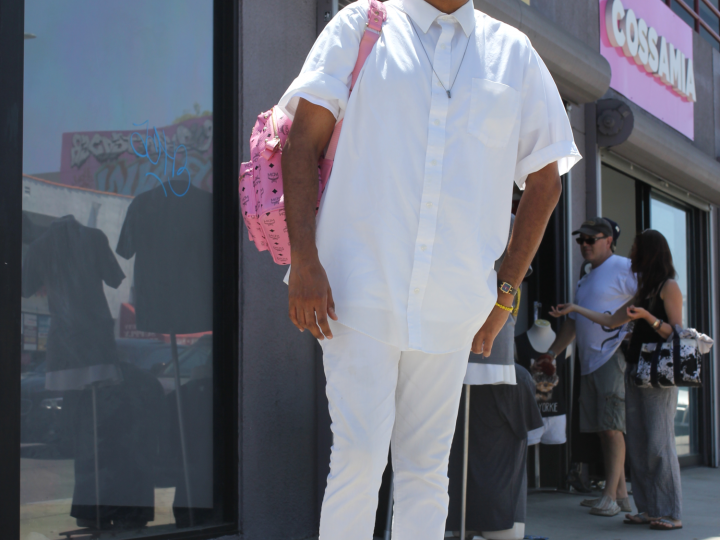 It also has tonal accents, flap pockets, and a waist-defining drawstring. 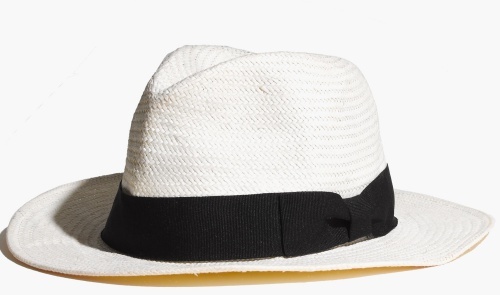 Crafted in Toyo straw, this hat has a 2 1/2” brim. 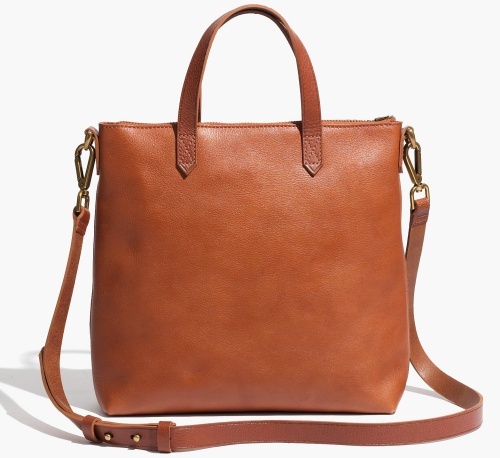 This bag features vegetable-tanned leather, a detachable crossbody strap, a zip closure, and two interior side pockets. 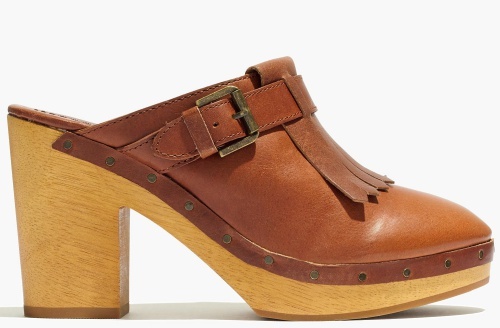 These clogs come in a dark chestnut designer color. They also have leather uppers, a buckle style, a nailhead trim, rubber soles, and a fringe detail. 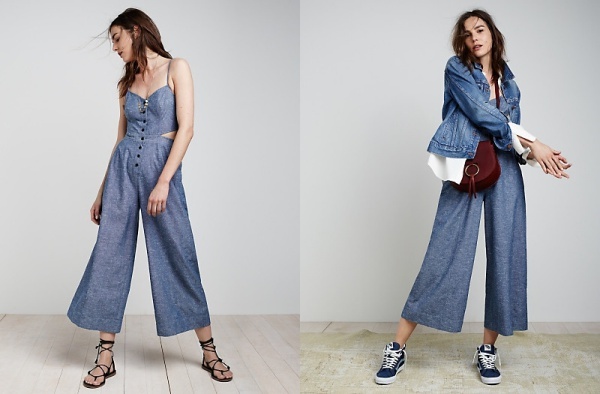 This cami one-piece features textural chambray and a wide-leg silhouette. 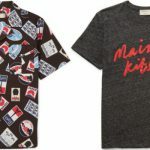 It also has a button-front placket, side cutouts, and a relaxed fit. 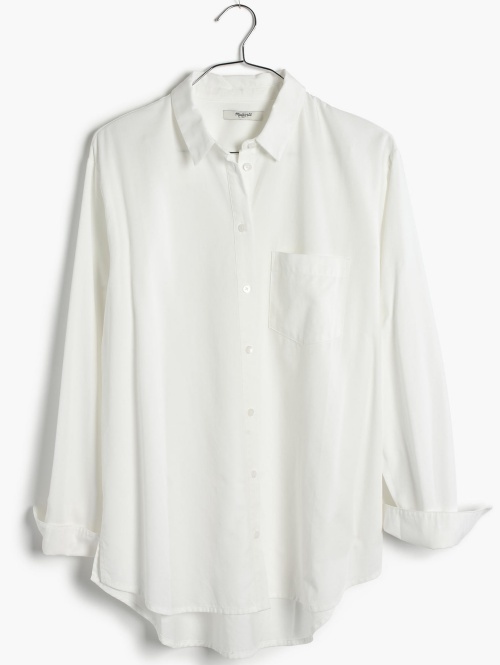 This button-down shirt has a drapey weave, a split shirttail hem, and a slightly oversized fit. 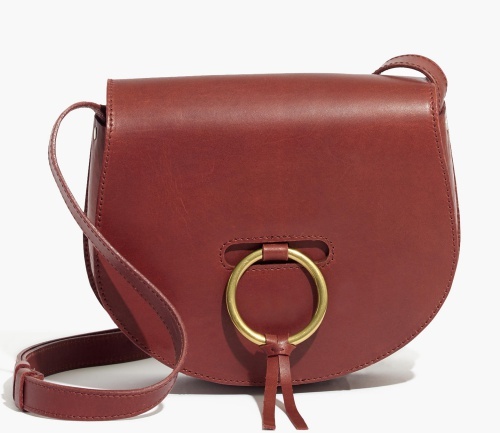 This ‘70s-inspired bag comes in a burnished mahogany designer color. 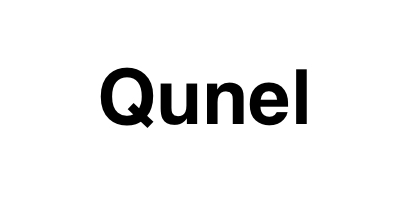 It features semi vegetable-tanned leather, an interior pocket, and a custom O-ring closure. 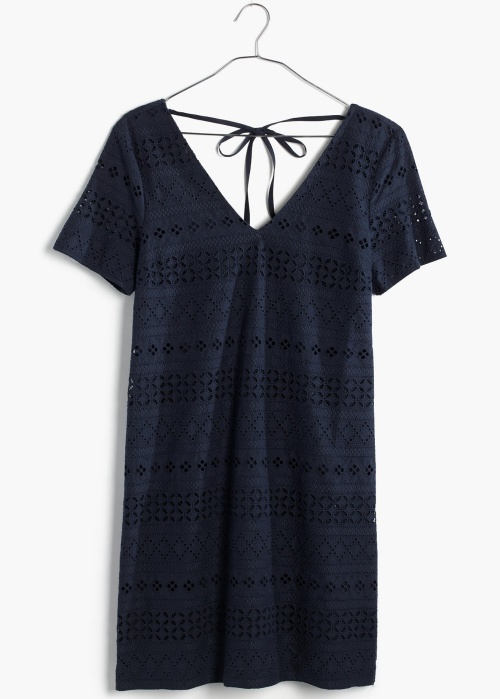 This mini dress features embroidered eyelet lace, a tassel detail, and a subtle V-shaped back. 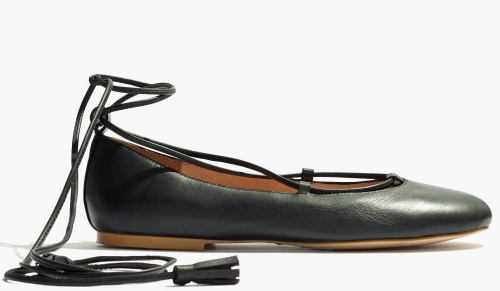 These flats have round toes, leather uppers, and tassel-tipped laces. 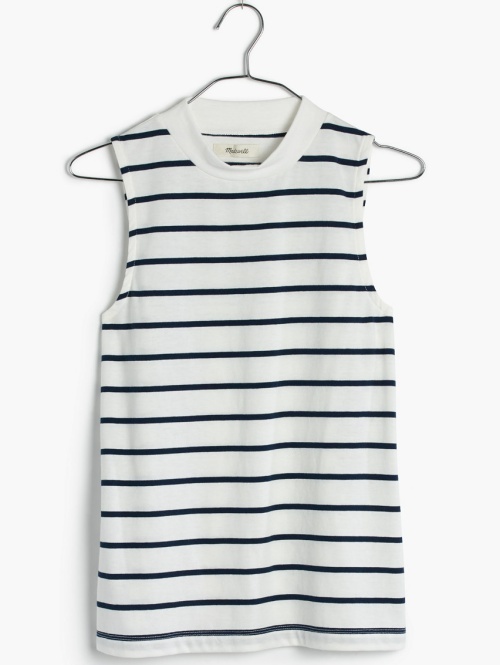 This fitted tank top has a mock neckline and a striped design. 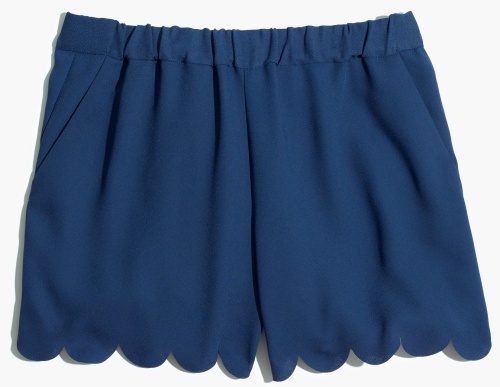 These shorts come in a coastal blue designer color and feature a scalloped hemline. 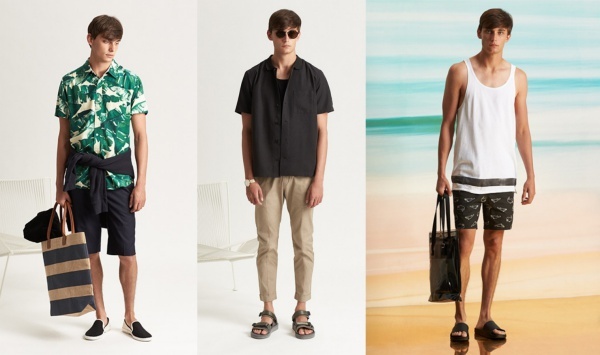 These sandals have slotted crisscross straps, adjustable closures, rubber soles, and leather uppers. 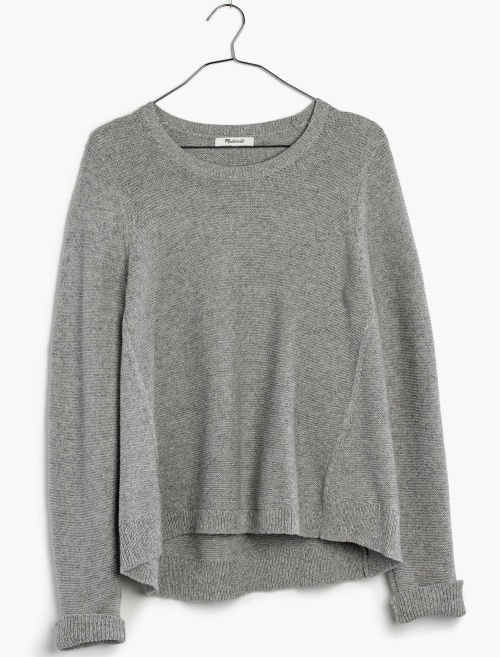 This sweater comes in a marled stone designer color, and it has an elliptical hem and a relaxed shape. 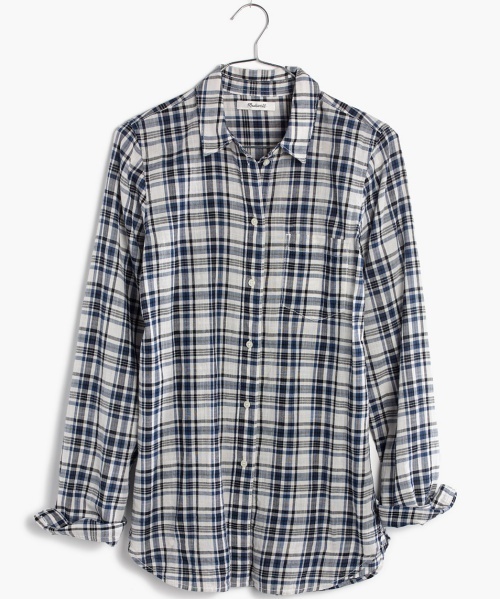 Crafted in plaid flannel, this shirt has long sleeves and a front button closure. 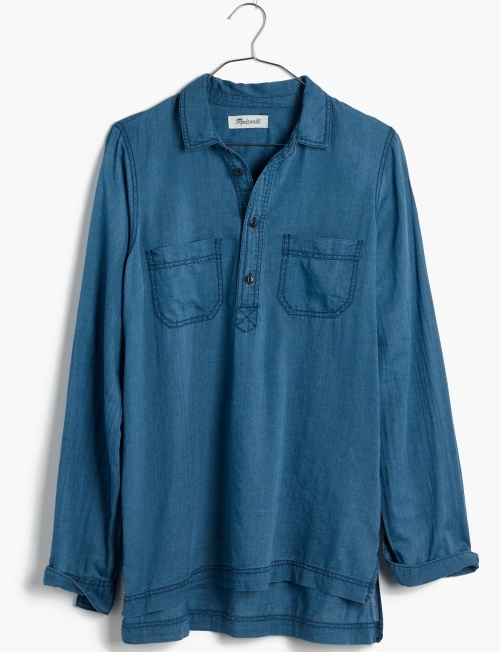 This popover shirt has long sleeves, two chest pockets, and a slightly oversized fit. Made from premium cotton and elastane denim, these shorts have copper hardware, contrast stitching, and a fixed waistband. They also feature a vintage-inspired high rise and a bright wash with light fading. 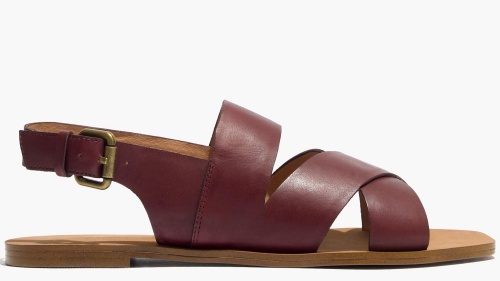 These sandals come in a dark cabernet designer color. They also feature crisscross straps, leather uppers, and adjustable buckle closures. 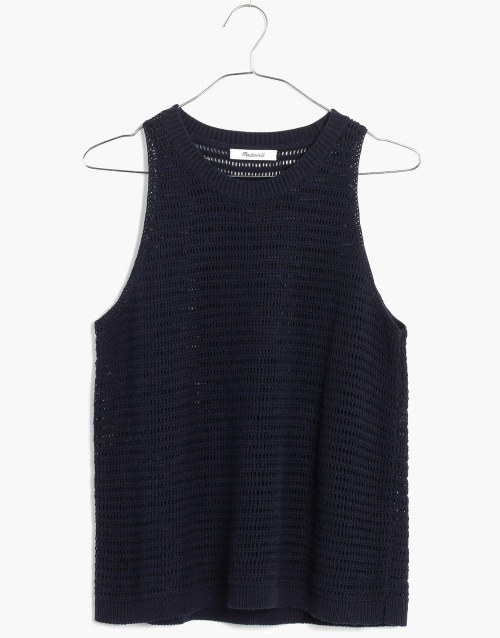 This lightweight sweater tank comes in a designer color called night vision. It has a crocheted design and ribbed edges. 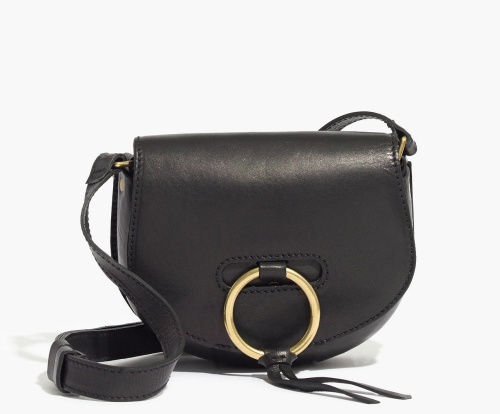 This ‘70s-inspired saddlebag features a custom O-ring closure, an interior pocket, and semi vegetable-tanned leather. 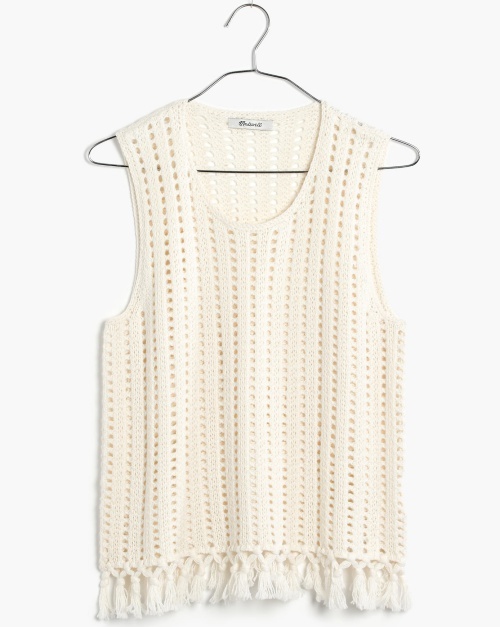 This sleeveless top features a ‘70s-inspired open stitch, a tassel trim along the hem, and a slightly cropped fit. 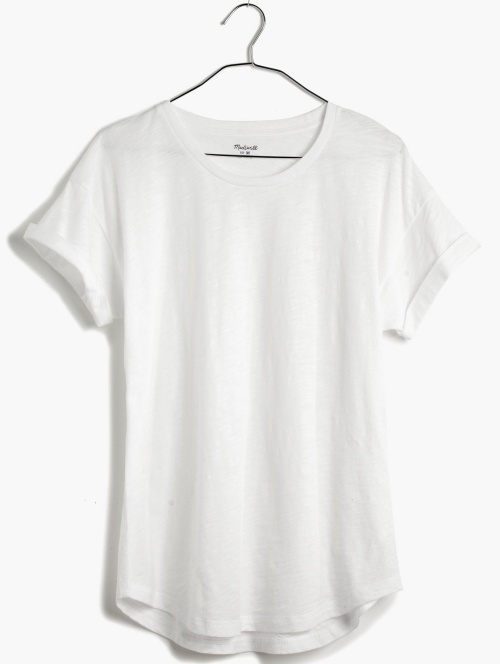 Crafted in slub cotton, this shirt has a crew neckline and short sleeves. 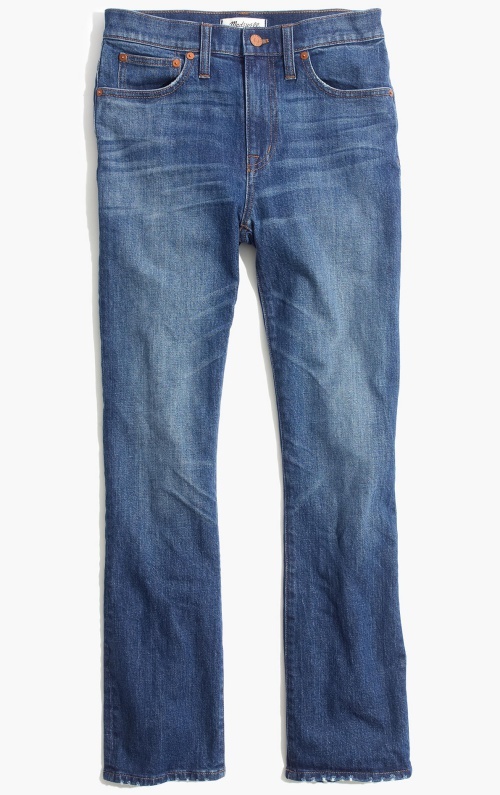 These jeans feature a medium indigo wash, a raw-edged finish, a distressed detail, and a wide-leg silhouette. 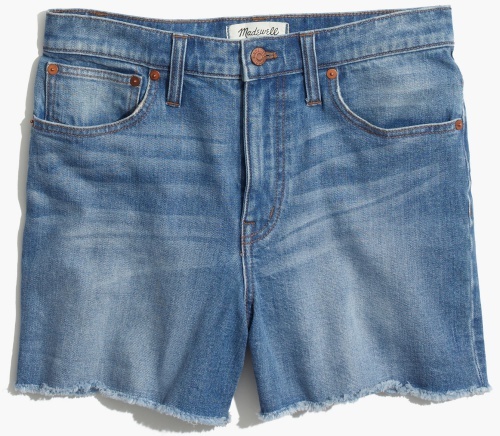 They also have a cropped length, contrast stitching, a copper button, and a coin pocket. 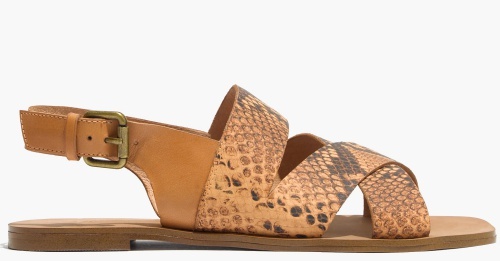 These sandals feature desert camel python, crisscross straps, leather uppers, and adjustable buckle closures. 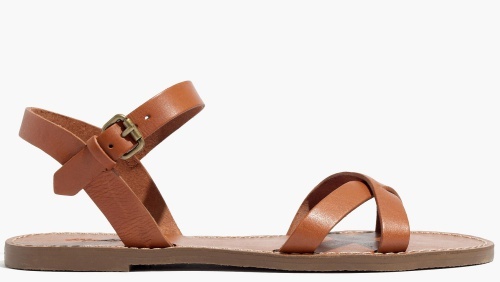 These sandals come in a designer color called espresso bean, and they feature textural calf hair. They also have leather uppers, adjustable buckle closures, and sculptural stacked heels. 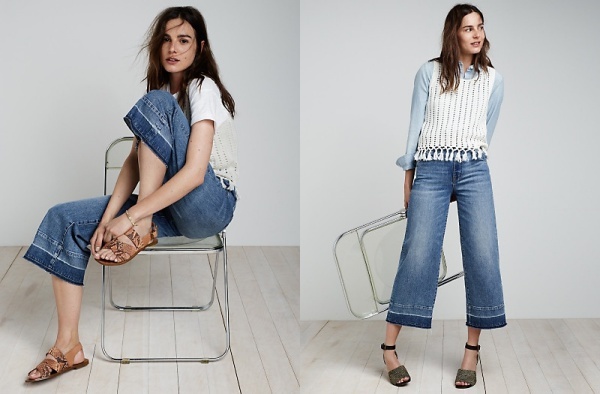 What do you think of the latest style guide from Madewell? Which items have made it onto your wishlist?